As well as the springs, the hotel has an excellent pool area, a good beach and restaurants serving excellent Thai and international food. 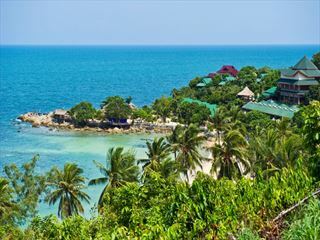 The resort is situated along Natai Beach in Kok Kloy District, Phang Nga Province, just a drive of 25 minutes north from Phuket Airport across the bridge. The resort provides 5-star accommodation with 75 guestrooms in 8 room types. Each room type has different special features to suit guestsí needs. All rooms are decorated in luxury Thai style with silk and cotton and lots of teak wood. Deluxe Pool Access rooms have easy access to the outdoor swimming pool and the Hot Spring Pool. Grand Villa contains twin double beds with private Jacuzzi and resting area. The Hot Spring Restaurant offers superb Thai cuisine as well as International cuisine at your choice. Special menu are also available for those who want to control their weights or calories intakes. Patcharin Restaurant - You can enjoy your meals with beautiful tropical garden overlook the swimming pool with daily serve Western, Asian delights & organic menu. 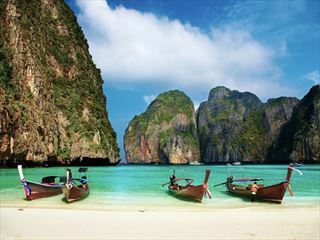 Sala Thai Restaurant - A seaside restaurant offers superb Thai cuisine, seafood & healthy cuisine. 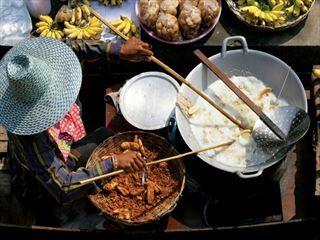 Apart from the regular Thai dishes such as the renowned ’Tom Yam Kung’ (sour soup) or ’Tom Kha Gai’ (the coconut soup with chicken), the traditional Southern Thai cuisine is also available for one who wants to experience the real test of hot and spicy southern dishes.